South Plainfield, New Jersey, February 2005 – Dallas Contracting Co., Inc., (Dallas Contracting) a specialized contractor providing demolition, equipment salvage, dismantlement, onsite concrete aggregate crushing, scrap metal recycling and used/surplus equipment sales to various industries recently completed an environmental and salvage project at a large office complex located in Monmouth County, New Jersey. 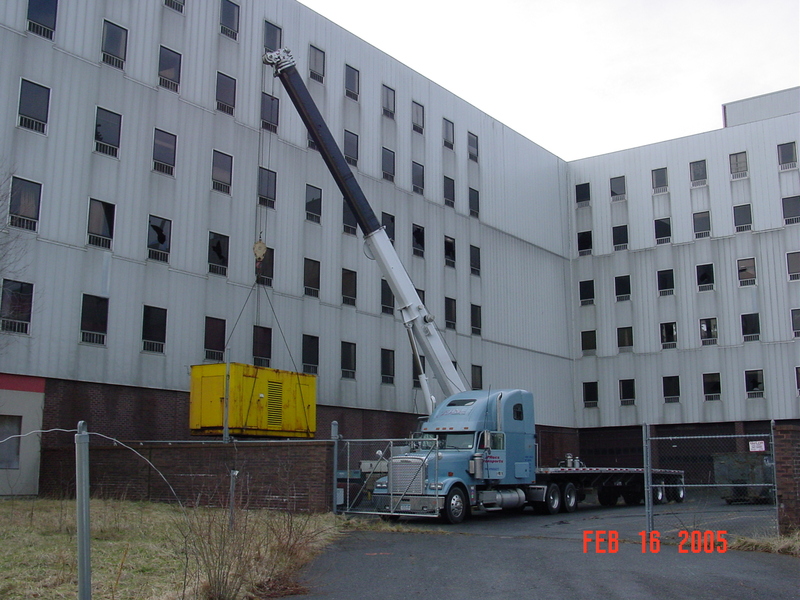 Dallas Contracting was contracted to provide equipment salvage and environmental services at a former Federal building. 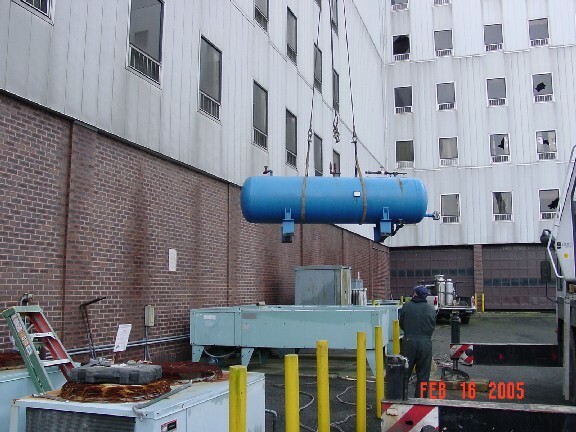 The overall project consisted of the purging and cleaning of one 275 gallon anhydrous ammonia tank and then removal of associated piping, the removal of various empty drums, the salvage of a Caterpillar 673 KW D349 generator set and the removal of miscellaneous piping and conduits. Dallas Contracting was able to offset the cost of the project through the sale of the Caterpillar generator. The first task was to complete the purging and reclamation of anhydrous liquid and gases within the 275 gallon tank. The liquid and gas was recovered and reused in ammonia processes. The removal and reuse was conducted under strict authority and in accordance with local, state, and federal laws and regulations. The empty tank was then rendered unusable and was sent offsite for recycling. Various empty drums, miscellaneous piping and conduit were also removed from the vicinity. These materials were also sent offsite for scrap recycling. To offset the cost of the project for the client, Dallas Contracting was able to sell a Caterpillar generator set. The generator set was a Caterpillar KATO 673 KW with a D349 Cat Engine with 446 hrs. The entire unit was within a weatherproof enclosure. Dallas Contracting utilized a crane to rig the unit from the concrete slab onto a flatbed for sale to an end user. 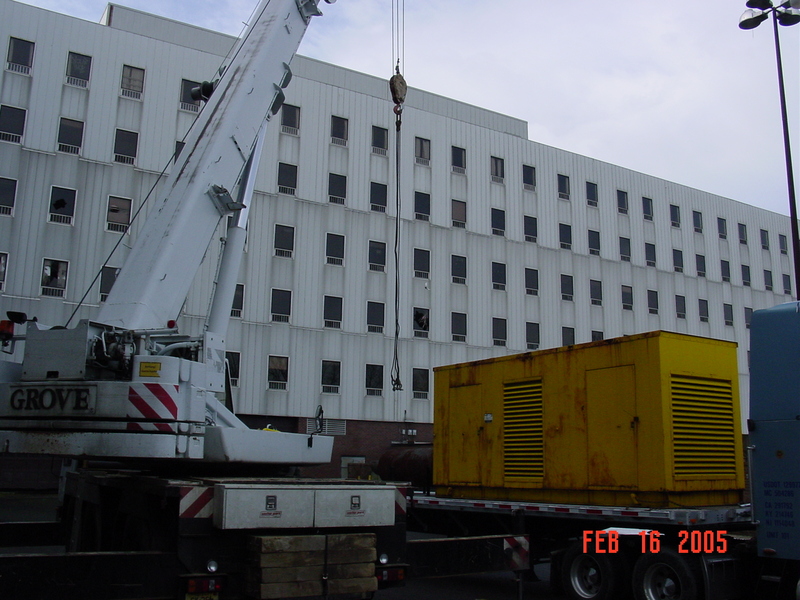 Through the use of our investment recovery operations to find a buyer for the generator, the client was able to complete the project for substantially less. For more information on Dallas Contracting’s ability to sell and purchase used and surplus equipment go to https://dallascontracting.com/equipment.html . The project was completed on schedule and without incident or injury. This is a typical project for Dallas Contracting where we can offer a turnkey approach to a project and utilize our investment recovery operations to offset the costs. By approaching projects in this manner all parties benefit.